Minister for Defence Marise Payne and Minister for Defence Industry Christopher Pyne confirmed today that BAE Systems Australia has been chosen as prime contractor for the Jindalee Operational Radar Network upgrade, Project Air 2025 Phase 6. 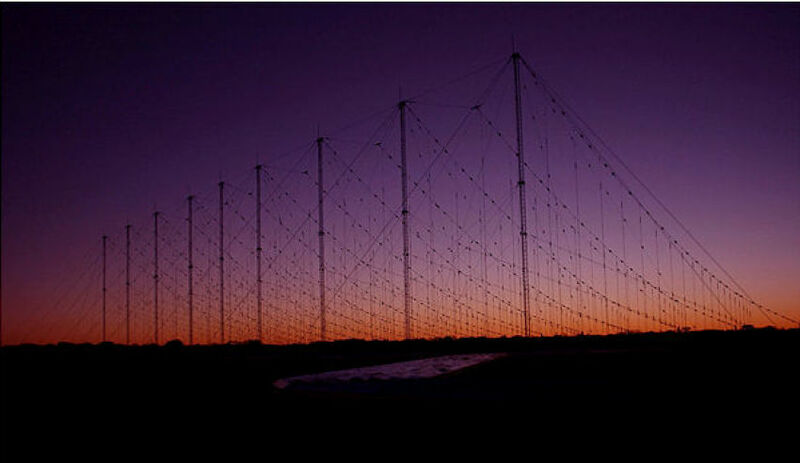 JORN is a world-class over-the-horizon radar (OTHR) that delivers visibility over Australia’s northern approaches, with a pedigree dating back to the 1970s when DSTO (now DST Group) started researching the technology. The state-of-the-art system provides wide area surveillance at ranges of 1,000 to 3,000 kilometres and plays a vital role in supporting the Australian Defence Force’s air and maritime operations, border protection, disaster relief and search and rescue operations. Supported by a control centre at RAAF Base Edinburgh in South Australia, the radars are located in three remote Australian locations, including Laverton (Western Australia), Alice Springs (Northern Territory) and Longreach (Queensland). Lockheed Martin was the unsuccessful contending tenderer for Project Air 2025 Phase 6. The company has been involved with JORN for many years, servicing the Longreach and Laverton locations, with the co-ordination centre at RAAF Edinburgh being shared between BAE systems and Lockheed Martin. The upgrade project will require over 500 highly-skilled technicians and engineers working for BAE Systems and in the company’s supply chain. BAE Systems Australia chief executive Gabby Costigan said the company was proud to have been selected to deliver an important upgrade to Australia’s most complex and critical intelligence, surveillance and reconnaissance capability. “Together with our partners, we are committed to ensuring a high level of Australian industry and academic participation in JORN,” she said. Costigan said BAE Systems has worked closely with DST Group in the development of the technology that underpins JORN, and in securing an export market for high frequency radar. BAE Systems Australia will deliver the JORN upgrade together with defence systems integrator Raytheon Australia, South Australian SME Daronmont Technologies and infrastructure specialist RCR Property Services. More than 20 specialist Australian SMEs will also participate in the supply chain to ensure broader Australian industry participation and a strong focus on innovation to support the upgrade, Costigan said. The project will improve the performance of JORN and involves the replacement of most of the radar and frequency management system hardware, information and communication technology hardware, the upgrade of software architecture and processing, as well as other specialised optional enhancements. The mammoth AIR 2025 Phase 6 project will support the operational life of JORN beyond 2042, with the upgrade project expected to span 10 years.